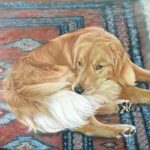 Monday – Saturday 10:00 a.m.– 5:00 p.m. 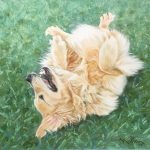 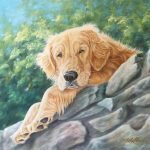 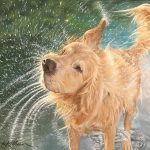 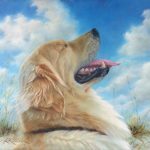 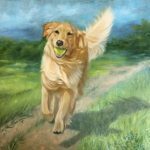 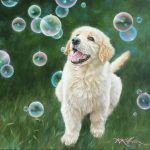 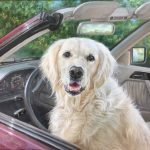 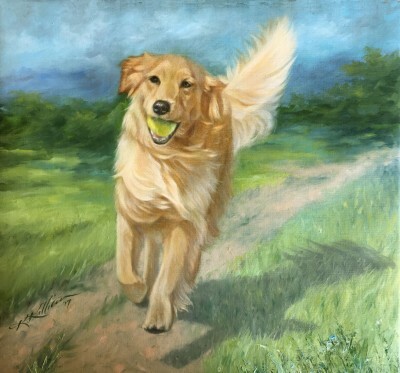 The widely collected Karen Killian taps into the lighter side of canine paintings with her latest series, It’s Cocktail Hour!, a celebration of libations and the canine spirit featured with Golden Retrievers, the subject for which she is most famous. 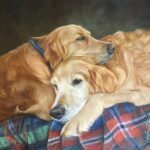 One of Killian’s gifts is her ability to capture the enduring bond between dogs and people. 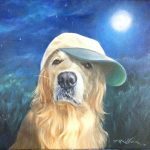 Another is her sense of humor, and these definitely have a twist: On the Rocks, Throwin’ One Back, and Shaken, Not Stirred, will make you smile!